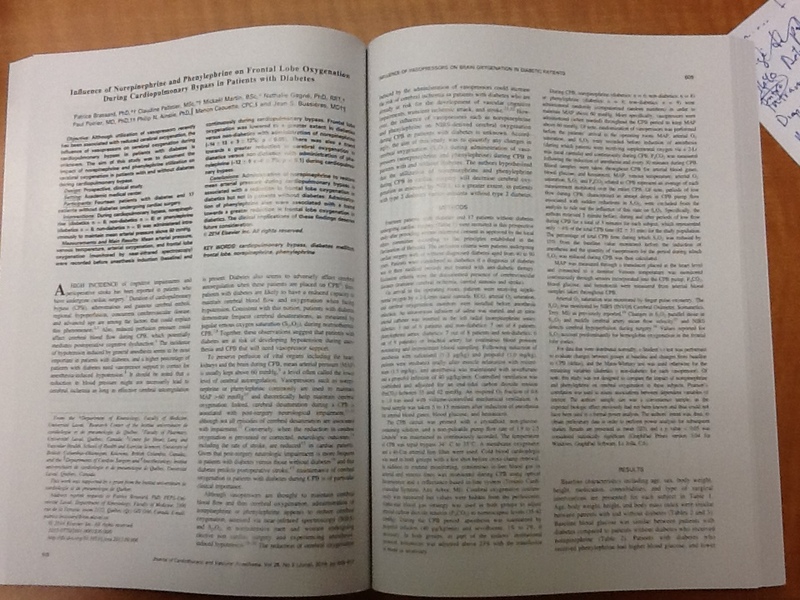 Stay tuned for more cerebrovascular physiology related content later this year ! In the meantime, have a great summer ! 432- Cerebral hemodynamic characteristics of acute mountain sickness upon acute high-altitude exposure at 3,700 m in young Chinese men – Bian et al. 433- Cerebrovascular disease in the era of left ventricular assist devices with continuous flow: Risk factors, diagnosis and treatment – Willey et al. 434- Altered oscillatory cerebral blood flow velocity and autoregulation in postural tachycardia syndrome – Medow et al. 435- Utility of Cerebral Oxymetry for Assessing Cerebral Arteriolar Carbon Dioxide Reactivity during Cardiopulmonary Bypass – Ariturk et al. 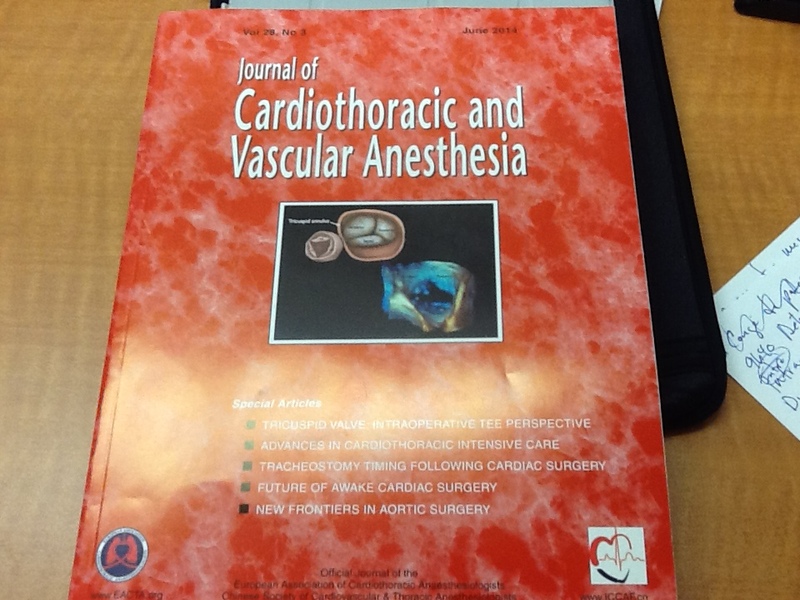 In this digital age, I just received a vintage gift…one complete issue of the Journal of Cardiothoracic and Vascular Anesthesia ! !